I am pleased to announce the Wild Ones Fox Valley Area Chapter is presenting their 22nd annual Toward Harmony with Nature conference The American Garden – A Life or Death Situation on January 27, 2018 at the Oshkosh Convention Center in Oshkosh, Wisconsin. Neil Diboll has over 35 years of experience in prairie establishment and restoration designing natural landscapes for golf courses, corporate campuses, public parks and residential settings. Our gardens and landscapes are becoming increasingly important refuges for pollinators, birds, butterflies and other creatures as their former habitats disappear due to their conversion into chemically soaked farm crops, industrial parks, commercial centers and housing for humans. 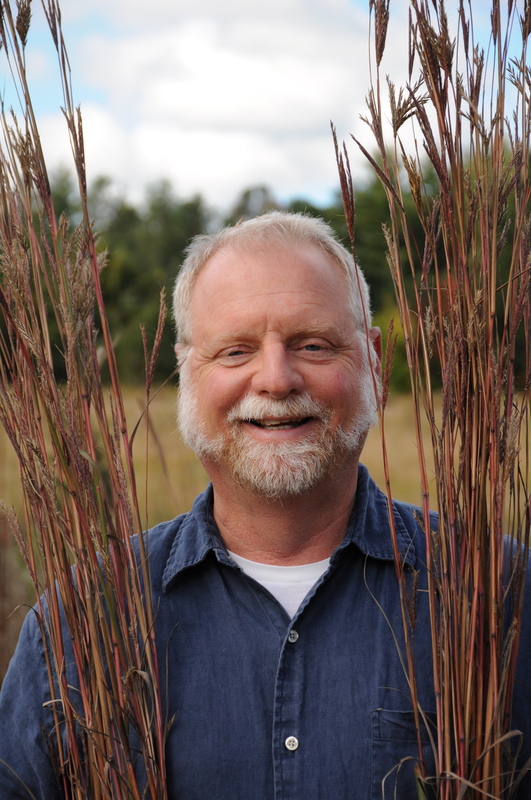 Neil Diboll, Ecologist and Owner of Prairie Nursery will discuss how creating native landscapes — which require few if any chemicals and toxins — are the future landscapes of necessity. Our very survival will depend upon these “Joint Ventures with Nature” in our cities and suburbs. Neil will share his expertise in a step-by-step approach that will provide attendees with “tried and true” methods to convert a small area to a prairie garden or large acreage to a beautiful prairie meadow. Through Prairie Nursery he devotes his efforts to championing the use of prairie plants, as well as native trees, shrubs and wetland plants, in contemporary American landscapes. Neil is looking forward to talking with conference attendees throughout the day. In addition to Neil Diboll’s keynote presentation, nine other presentations will offer a full range of topics that will inspire and inform attendees on how they can design, plant and care for urban sustainable gardens in a variety of ecotypes. Native plants and natural landscaping exhibitors and vendors, a book table, a silent auction; networking opportunities and a buffet luncheon round out the day’s activities. Anyone who wants to learn more about how to design and create sustainable and healthy habitats using native plants in our yards, open spaces, parks, nature centers and green corridors. Private citizens, municipal and town officials, landscapers/nursery owners, realtors and leaders of environmental organizations will learn much from our speakers. As we move into a future impacted by climate change, it is imperative that we learn to manage the health of our environment to benefit all life. For more information e-mail or go to the conference website for more detail on speakers and to register. See also 22nd Annual Toward Harmony with Nature Conference.